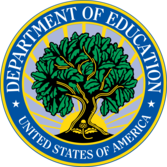 The U.S. Department of Education is currently undergoing a process to review and reform regulatory documents and activities, in accordance with Executive Order 13777. In June, we published a Federal Register notice as part of this process. It describes how the public can submit comments regarding regulations and policy guidance they recommend ED review, modify, or repeal. You can view such documents for OSEP here. To ensure that all interested parties have ample time and opportunity to submit comments, the Department extended the public comment period for 30 days via a new Federal Register notice dated August 11, 2017. Comments will now be accepted through September 20, 2017. For more information regarding the extended comment period, check out the OSERS Blog. Summer is winding down, and here at OSEP we're looking forward to getting into a new school year. However, this summer certainly hasn't been idle! I've really enjoyed participating in the many stakeholder meetings hosted by OSERS Acting Assistant Secretary Kim Richey. It has been such a pleasure hearing from the various groups representing different facets of our constituency. The meetings have been a great opportunity to build on OSERS' relationships with stakeholder groups, and we're very excited to continue and enhance collaboration with these groups moving forward. We've been working to tweak and improve the new IDEA website since its launch in June. Your input has been truly invaluable, and we hope that you continue to provide feedback and suggestions via our blog. Stay tuned for opportunities to learn more about the features of the site. You can also contact us directly with questions about the site's functionality or the resources it houses. Finally, we're excited to announce that we will hold our third virtual symposium, "Displaying Our Data - Conveying Our Stories," on October 10, 2017, 1:30–3:30 p.m. EDT. Please note that we have changed the date since the initial announcement of the 2017 OSEP Symposia Series. The October symposium will focus on how states, districts, and IDEA Part D-funded investments can develop engaging stories and effectively use data to improve communication strategies used with stakeholders, leadership, and decision makers. The symposium will explore best practices and tips for more impactful and effective communication efforts. Presenters will discuss (1) building an effective dissemination plan, (2) using infographics and data visualization practices to communicate the meaning of data in a way that is accessible, accurate, and actionable for a variety of stakeholders, (3) using social media to improve outreach, and (4) measuring success using analytic tools. The comment period for each of these ICRs is 60 days and will be open until September 11, 2017. On July 31, 2017, the Department announced that it would extend the project period of the DaSy Center (the Center for IDEA Early Childhood Data Systems) for a sixth year. This technical assistance (TA) center supports states to develop or enhance their coordinated early childhood longitudinal data systems. You can view the details of the wavier of the five-year limit on project periods and of the extension of this project in the Federal Register. Personnel Development to Improve Services and Results for Children with Disabilities—Early Childhood Personnel Center. The new deadline for transmittal of applications is Monday, September 11, 2017. The application package for the competition is now posted on the Department's website, and also on the Grants.gov website. NCSI has released a new guide, Wins and Hiccups: A Collaborative Implementation Problem-Solving Guide for SSIP Teams. The purpose of this resource is to support state teams in implementing the State Systemic Improvement Plan (SSIP). The guide encourages state SSIP teams to consider both their successes and challenges to inform continuous improvement. NCSI has identified four elements to consider throughout the implementation process, about which the guide goes into greater depth: (1) innovation, (2) implementers/stakeholders, (3) organizational context, and (4) evaluation. The Department is continuing to review and provide feedback to states that submitted ESSA consolidated state plans. 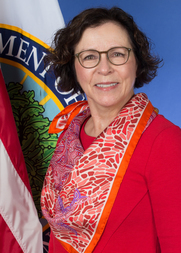 OSEP is collaborating and will continue to partner with the Office of State Support in ED's Office of Elementary and Secondary Education throughout the review process. States that have yet to submit plans have until September 18, 2017 to do so. More information, including the timeline for submitting plans and related resources, can be found here. OSEP staff appreciated the opportunity to meet with state leaders at the National Title I Association Summer Directors Meeting and the ESSA Convening this July. During the ESSA Convening, we enjoyed learning about the work of those who attended. We also appreciated the chance to share resources, support, and expertise made available by ED's collaborative state and school district TA initiative, the State Support Network. You can access the online space for the event here. In the coming weeks, this space will be updated to include resources that were suggested during the consultancy sessions at the convening. 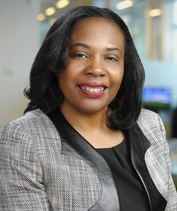 Check out the OSERS Blog for an interview featuring Wendy Lewis Jackson, managing director for the Kresge Foundation's program in Detroit, Michigan. In that role, Ms. Lewis Jackson is working to develop a robust and innovative early childhood system, supporting the community's most vulnerable children and families.